The Standard, the hip hotel and spa in the renovated Lido Spa on Belle Isle, is planning an ambitious reconstruction that includes rebuilding a wing of rooms and constructing a mechanical on-site parking structure. “The Standard is looking at an expansion,” Belle Isle Residents Association president Scott Diffenderfer told island residents at a community meeting Wednesday night. The Standard has scheduled a meeting to give Belle Isle residents an overview of the plans at 6 p.m. Wednesday, Jan. 23 at the hotel, 40 Island Ave.
Diffenderfer said The Standard has said the project will add only a few rooms to the property. It involves knocking down the one-story eastern wing of rooms. The garage would go behind the main, three-story lobby and spa structure. A new, two-story east wing of rooms would be built — with larger rooms and interior hallways. Cars entering the robotic garage on Collins Avenue. 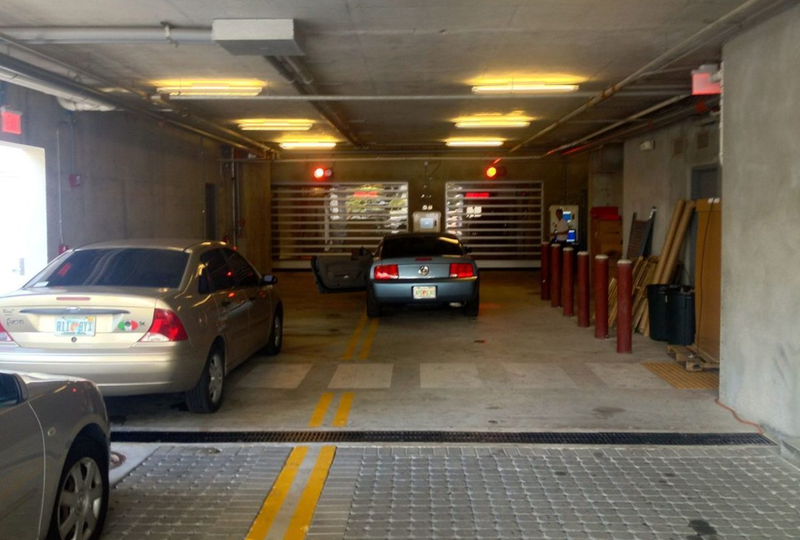 The parking structure would work like an automated garage that opened earlier this year at 1826 Collins Ave, billed as he first of its kind in South Florida. Built by Stellar Construction, the Collins garage looks like a retail space, with a wide entrance where cars drive in. Once inside, robotic platforms slide underneath, lift them up and put them in a parking spot. The old Lido Spa was renovated and reopened by hotelier Andre Balazs in 2005. 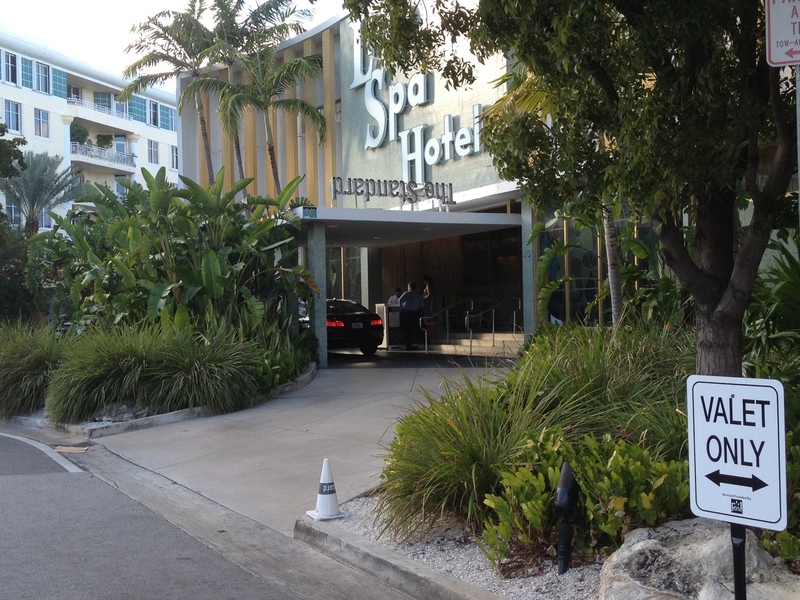 Parking always posed a problem, with a valet-only policy and a rented lot in Sunset Harbour. In renovating the Lido — a 1950s vintage hotel that was renovated in 1960 with the MIMO Three-story lobby and spa building in the early 1960s– Balazs brought quiet hip to sleepy Belle Isle. Neighbors always worried the party might get too wild. Restrictions on the property due to its residential surroundings — they can’t serve liquor after midnight and music can’t be so loud that it will disturb neighboring properties — were in place before the 2005 renovation. This entry was posted in City Issues, Development, Venetian Causeway and tagged Belle Isle, Lido Spa, mechanical parking, spa, The Standard. Bookmark the permalink.